I love mason jars – their classic look and simple glass element can be used in a variety of party and home décor. 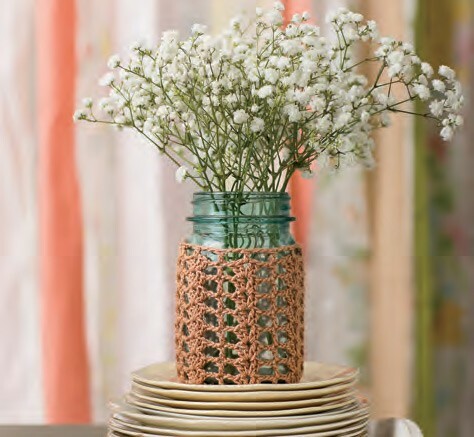 This mesh stitch works up quickly to make an elegant table centerpiece. This simple heart crocheted with contrasting colors and in various sizes makes for special lapel pins for every guest. 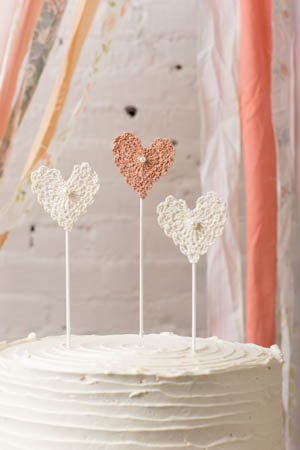 The same heart here has a lacy edging and pearl bead accent for the cake topper. These could also be used with shorter skewers and decorate cupcakes. 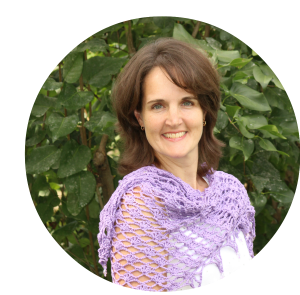 Remember, all of these project are inside the Summer issue of Interweave Crochet magazine available on a newsstand near you or on-line at www.crochetme.com.